Last month I had the honor of celebrating with Cassie & Todd at their gorgeous Skytop Lodge Poconos Wedding in the Pocono Mountains. The day started out as one of those perfect (yet very humid) summer days... which turned to thunderstorms and downpours lasting for hours immediately following the ceremony. Cassie & Todd rolled with the weather and we improvised, taking all of their portraits either indoors or under the various covered areas at Skytop Resort. It was one of those days when I was so, so thankful for a stunning venue! The highlight of my night, admittedly, was probably the band which had the entire reception on the dance floor. No one cared about the rain, and everyone had an absolute blast celebrating with Cassie & Todd for hours. Guests were having so much fun that Cassie skipped the garter/bouquet tosses and everyone partied. Smart bride! Sometimes the day is such a whirlwind and things go so fast, that having too many 'scheduled' events can really affect the flow of your day. I always enjoy a more relaxed schedule during the reception which allows couples to just slow down and enjoy the moment. By skipping some of the 'traditions' that might not be all that important to you at the end of the day, you free up some time to do just that! The skies calmed down again minutes prior to the planned time of the sparkler exit, and we were able to get the whole crew outside for the perfect way to end the evening! Congratulations Cassie & Todd - wishing you so much love and happiness in the coming years. How did you and Todd meet? "Todd and I have known each other since we were little ones. He is two years older than me and our best friends growing up are brother and sister. We reconnected the summer after my junior year of college and have been together ever since. We have been together almost seven years (four of those have been long distance between Boston and Scranton while we were in medical school and physician assistant school." "He took me on a hike on my parents' property last January. He stopped me at a spot with a beautiful view and started saying sentimental things and finally got down on one knee and asked me to marry him! He then told me to look to the side and he had motion-sensored hunting cameras set up on trees that captured the whole proposal while still allowing us to have that special moment to ourselves with no spectators." In regards to your wedding day, what are you most looking forward to? "That moment when he and I see each other for the first time when I am walking down the aisle." "The style is simple, classic elegance. I am going for understated beauty and timeless elegance. Nothing over the top - my dress is very simple with no 'bling'." 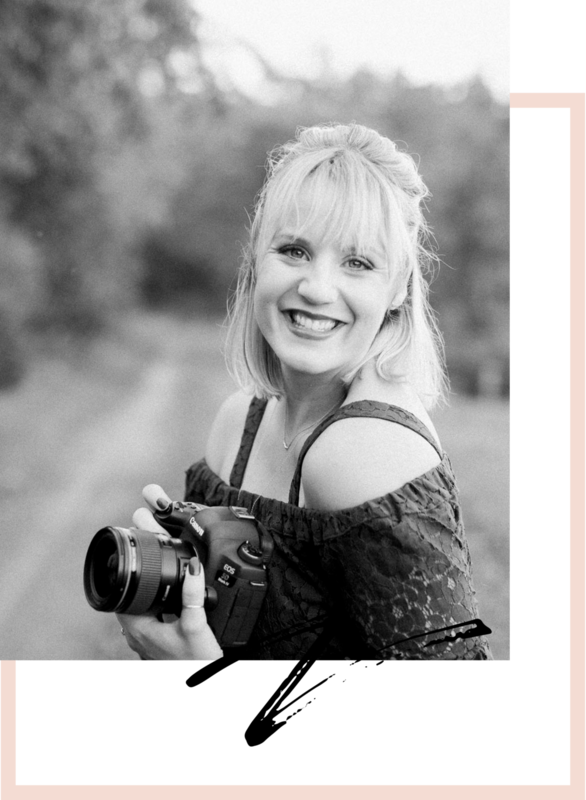 Nicole DuMond is a wedding and portrait photographer based in the rolling hills of Stillwater, Pennsylvania and serving the surrounding areas of Northeastern and Central Pennsylvania, including the Poconos and the Lehigh Valley. Nicole is also available for limited travel along the East Coast & Worldwide.